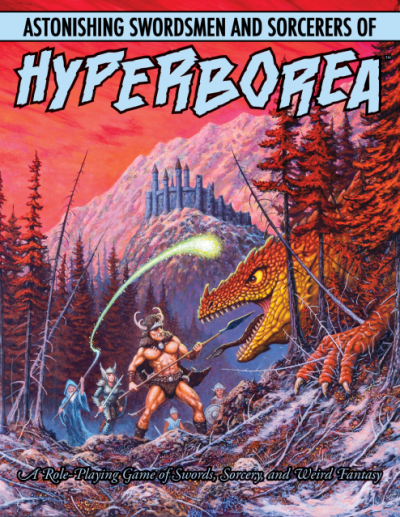 Astonishing Swordsmen & Sorcerers of Hyperborea is getting a second edition and the Kickstarter campaign has started last week and is going until 30. November. AS&SH was my first OSR game, performing the impressive feat of presenting the rules of AD&D in a way I was actually able to understand. I eventually moved on to B/X and Lamentations of the Flame Princess, but it’s still one of my favorite games and it has a lot more to offer than just game mechanics. The same but more sounds like a pretty good deal to me. But I have to say the new art alone is enough to get me sold. Just look at the new cover! Coins in RPGs have always been something that seemed more like an annoyance to me than something that makes playing the game more fun. Sure, finding treasure and buying better equipment is often one of the most enjoyable parts of an adventure, but all the accounting that goes into keeping track of all your coins is right at the opposite end of the entertainment-scale. In many games, most mundane pieces of equipment have prieces that are completely negible, being counted in silver or even copper coins. When you’re carrying around thousands of gold coins, buying such objects isn’t even felt in your purse. And if you’re playing in a fantasy campaign in which there are no magic items for sale in stores, you can easily have the best weapons and armor that money can buy by third level. You have more money than you could ever spend on most mundane expenses like food, lodgings, and clothing. It is very tempting to simply tell the player not to bother with substracting the 2 silver pieces and 7 copper pieces they just spend. I’m also no fan of pure dungeon crawling, and the hunting for treasure isn’t a priority in my games. It’s something that happens more by accident at the side while the PCs are fighting their way through a place to find a person of item of special significance. 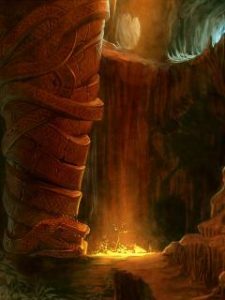 However, I am also a fan of the Sword & Sorcery genre and a big part of it is heroes being completely broke at regular intervals, being forced to get by with barely anything more but the shirts on their backs and having to climb back up towards fame and especially fortune. Especially in some OSR games, you also have some focus on hiring mercenaries and raising small armies of followers, who all need to be equiped, fed, and paid. And I don’t like to just handwave such things and let the players have whatever they want. Under this system, players do ignore any costs that are negible, but what constitutes a negible amount of money depends on the amount of money the character currently has in his coinpurse. Platinum Class: A character who has more than 100 pp worth of coins (1,000 gp) tracks his money in platinum pieces. Any item or service that costs less than 1 pp (10 gp) is not substracted from the characters wealth. Gold Class: A character who has more than 100 gp worth of coins tracks his money in gold pieces. Any item or service that costs less than 1 gp is not substracted from the characters wealth. Silver Class: A character who has more than 100 sp worth of coins (10 gp) tracks his money in silver pieces. Any item or service that costs less than 1 sp is not substracted from the characters wealth. Copper Class: A character who has less than 100 sp worth of coins (10 gp) tracks his money in copper pieces. Any prices the character pays is substracted from his wealth.